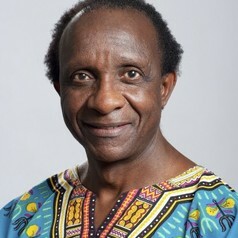 Samuel M. Makinda is Professor of International Relations and Security Studies at Murdoch University, Perth, Australia. He previously served on the Australian Foreign Minister's National Consultative Committee for International Security Issues. He has been a Research Associate at the International Institute for Strategic Studies in London, a Guest Scholar at the Brookings Institution in Washington, DC, and a Senior Associate Member of St. Antony's College, University of Oxford. He is a former editor of the Nairobi-based Daily Nation newspaper.